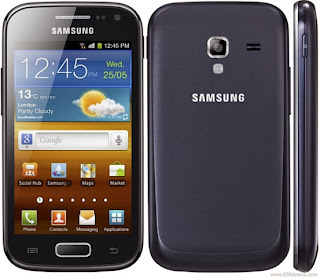 Samsung Galaxy ACE 2 I8160 Android smartphone users can transform their Samsung Galaxy S4 with the help of an all new custom ROM firmware. The Cyanogen mod is one hardworking team and has been from the last few months porting amazing and visually enchanting firmwares in Galaxy ACE 2 Android smartphone. Let’s take a sneak peek on what is needed to with which you can apply this certain firmware update after the quick list of pre requisites. Sadly, there are no news on by when there will be an official Jellybean 4.2 / 4.3 will be coming for Galaxy ACE 2. The Galaxy S4 Custom ROM Firmware and Google Apps Package is supposed to be downloaded from here to your personal computer. Once it’s downloaded, your phone should be connected to your computer with the help of an USB Cable and two zip files are placed in your phone. Your device should be switched off, as it has to be enter in the Recovery Mode. Galaxy ACE 2 can be manually entered in the recovery mode by pressing Volume Up Key, Center button, and holding both simultaneously press the Power Button after which you will get to see a green robot indicating that the device has entered in the recovery mode. Now, in recovery mode select the option of “clear cache” and then select “wipe data” so that the device is wiped off with all the data for clean installation. Once done with clearing the cache and wiping the data, select the option of “install zip from sd card” to select the Galaxy S4 Looking Custom ROM Zip Package and the Google Apps Package for installing the same. Please note that it will take around 4 -5 minutes for installing the update. Once the update is applied successfully, head over to the path “Settings > About Phone” to check the current firmware version.